Do you invariably recoil at the sight of what lies hidden behind your closet door? If this is the case, then it's time for a new solution! One such smart, space-saving idea is the open closet system – a convenient storage area that solves all your disorganised, messy woes. It can neatly stack your essentials, without creating a bulky partition-based piece like a cupboard or walk-in closet. Sound good? 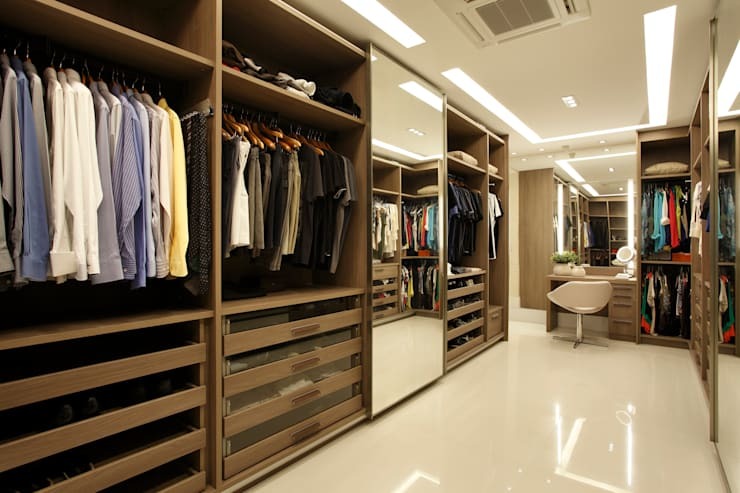 Read on for a look at 7 brilliant open closet solutions for your home! This small room has been turned into a closet next to the bedroom. The luxurious area has solid fittings that make for an open space from where one can easily access various belongings. Tracks of lighting in the ceiling as well as reflective flooring ensure that the luxurious space glows! 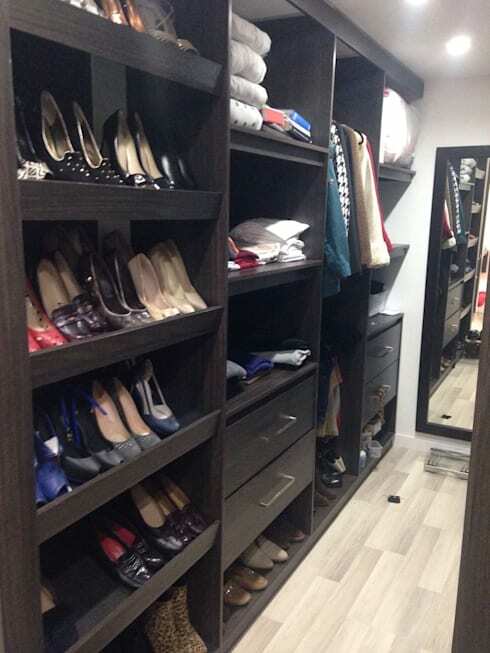 The organisation of the space is what makes the open closet a style success. It is indeed a no-brainer that the space needs to be neat and free of any clutter. However, one should also try to organise items as per niche and type for a cohesive and complete look. The shoes can be stacked on one side, while the towels can be neatly rolled and piled on top. Shirts and coats for everyday wear should be hung on one side and the smaller items confined to drawers for easy storage and retrieval. If you have a slightly larger space, install a separator like this one to maximize storage. Due to the addition of this large shelf in the middle, shoes and other essentials have found additional storage space within this closet. The clothes hang on either side so that one can easily get dressed. 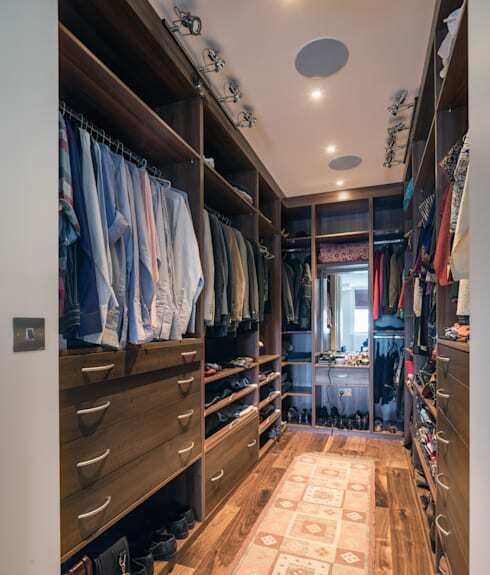 Lighting is a significant feature in such closets, as it will help in showing the clothes in their true colours – literally! In addition, accurate illumination can also set the right mood to make a space look as luxurious as this one. 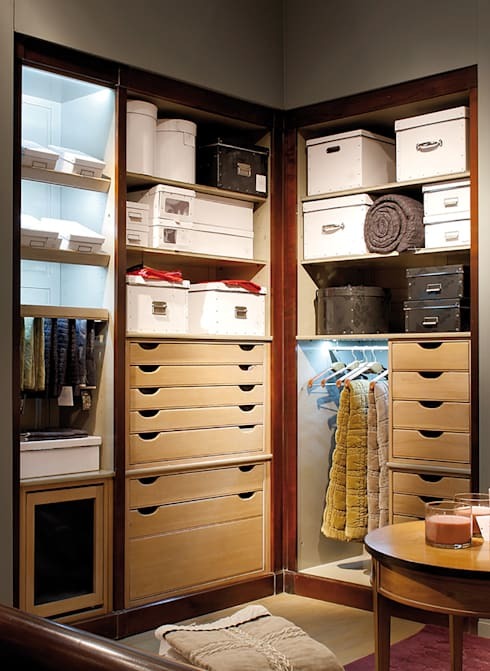 Boxes and containers ensure that your closet also preserves delicate clothes and accessories. This is because these kind of open spaces are prone to dust and grime. 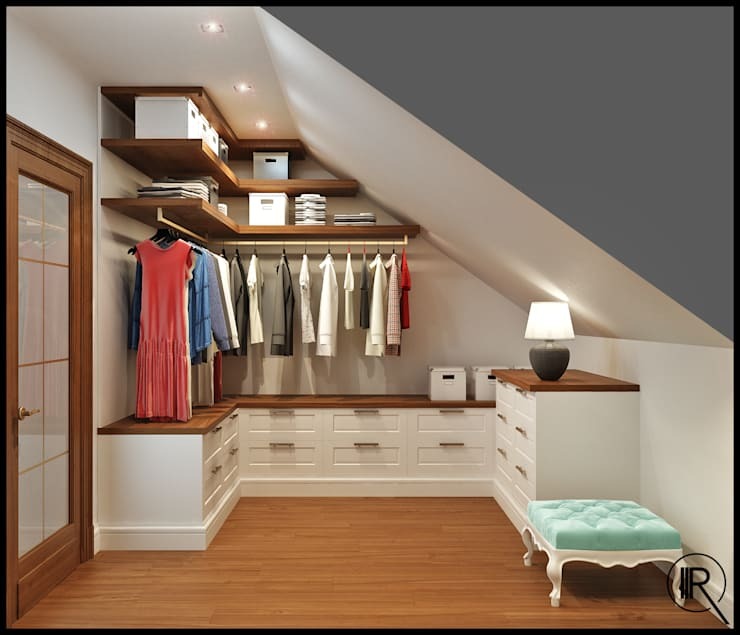 You can build a closet into the attic or under a staircase. Integrate it with other areas like your dressing room or bathroom for a more functional effect. 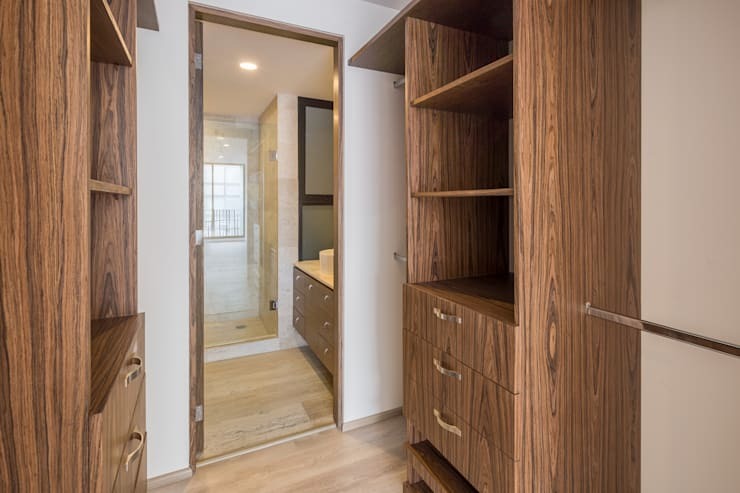 Solid materials will resist the build-up of termites and moisture, which is an important factor in these kind of open closets. One must utilise the best material and place the closet in the right spot, too.